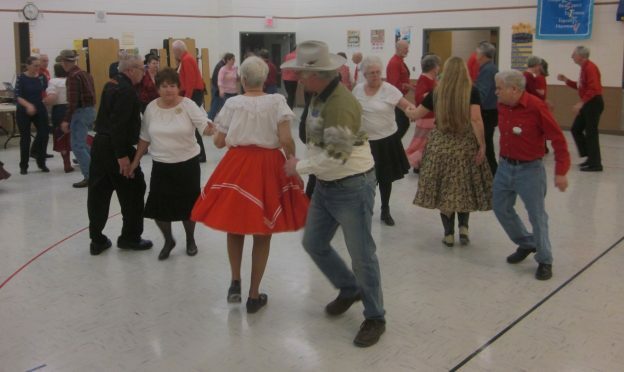 February 16, 2018 – Single Circles “Happy Valentines Day” Square Dance, Maple Grove, Caller Monte Guenzler, Cuer Jane Simpson. Seven squares (see photo above) with dancers from County Line Squares, Crystal Cross Trailers, Friendly Twirlers, Hot Foot Stompers, Kaleidoscope Squares, Single Circles, South Metro Stars, Spares & Pairs, and Westonka Whirlers were present. 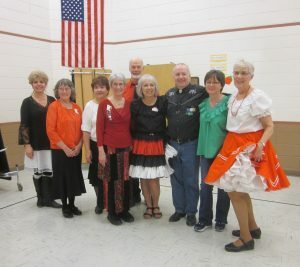 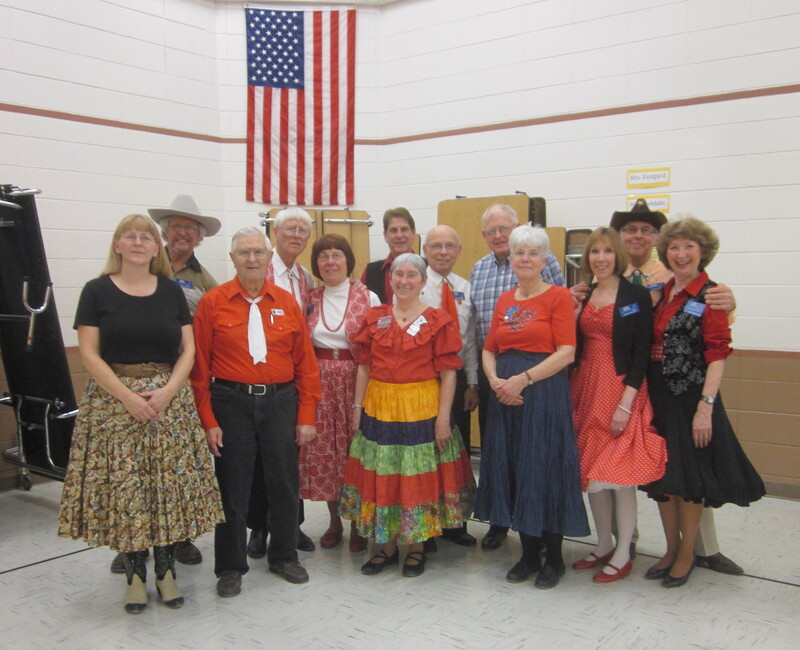 Also present were Hot Foot Stompers Queen Rose, Single Circles King Mel, CSD Chair Vince Dahlheimer, SDM Chair LeRoy Elfmann, SDM Secretary Gael Zachman, SDM Historian Al Martin, SDM Marketing Director Dee Scott, and SDM Membership Director Mary Kay Amberg. 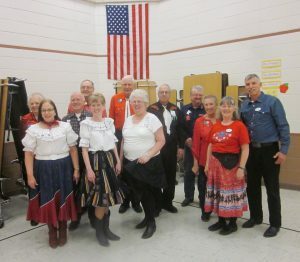 Westonka Whirlers already had a Single Circles banner. 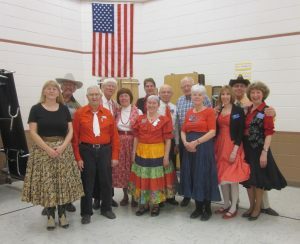 Hot Foot Stompers already had a Single Circles banner. This entry was posted in Activities on February 17, 2018 by LeRoy.